I was given the opportunity to review CSN Stores once again. I love this place! You can find everything imaginable at any of their 200+ stores. It's especially great for their large selection of cheap baby cribs. You may remember that I reviewed a product last year called the Sleep Sheep. I still use it every single night when I tuck Ella in for bed. It has been especially helpful now that she is transitioning into her "big girl" bed. This go-around I opted to review something entirely different. I ordered the Emerilware Hard-Anodized 8" & 12" Nonstick Frying Pans and let me just say "I LOVE them!!" Bye-bye cheapo Walmart pans from 9 yrs ago! These pans are solid. I love the heavy weight of them and the fact that they heat up quickly and evenly. 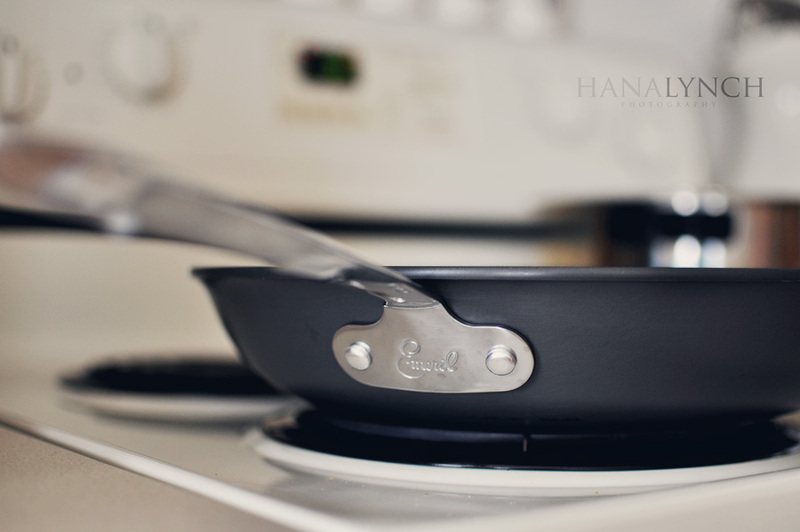 The handle stays completely cool during cooking and clean-up is a breeze. Just a little warm soapy water and everything wipes right off...gotta love non-stick!! The ordering process with CSN Stores could not have been easier. The check-out process was a snap and I LOVE the fact that you have the option to pay securely with PayPal! The best part?...I ordered my pans on a Monday and they were on my doorstep on Thursday!!! That's just 3 days from the time I hit "submit order" to the time FED-Ex was at my door! And that was just regular shipping...How awesome!! I highly recommend shopping with CSN stores!! 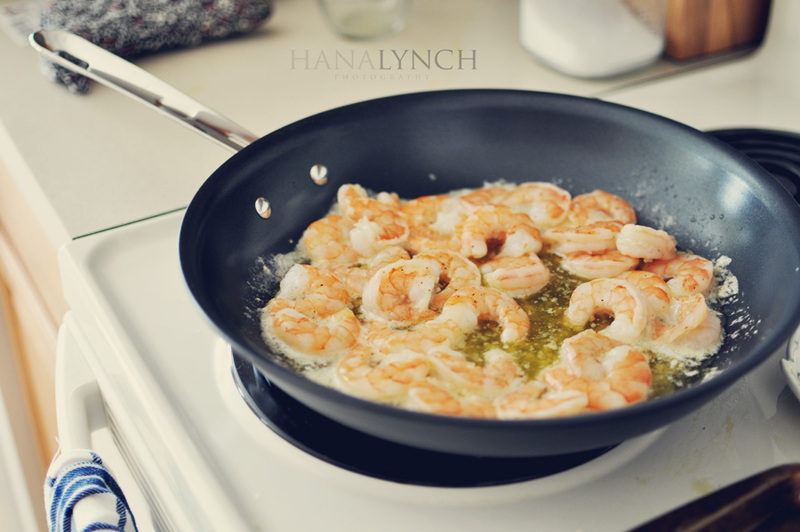 Check out this garlic butter shrimp that I served over linguine. Yummo! These pans are also great for making grilled cheese which is my current lunchtime obessession! Mmmmm!